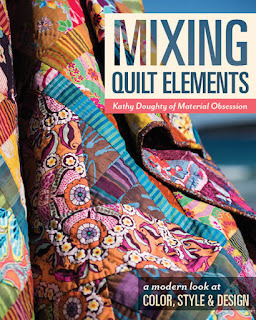 Mixing Quilt Elements by Kathy Doughty is an intermediate level quilting projects book. 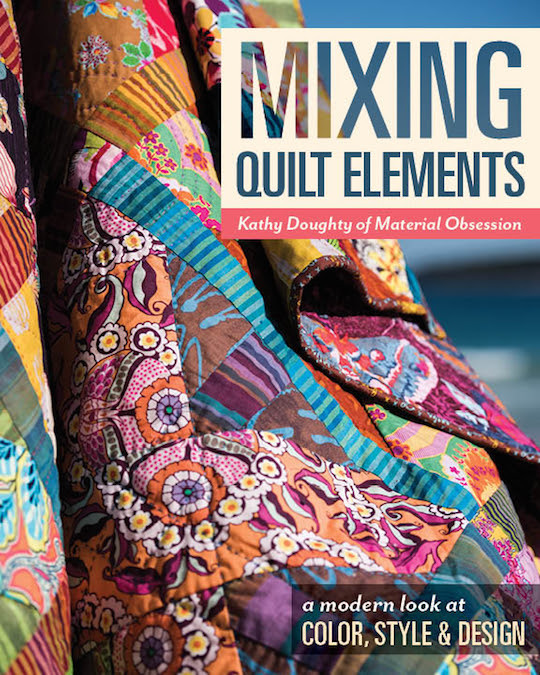 You will find lists of all the materials you need and step-by-steps on assembling the blocks, but there are not detailed instructions on how to do the quilting or finishing. Since you can find these in any basic beginner's book, I don't consider this a problem, but you need to know this if you are just starting out. Kathy's bold use of color and twist on traditional designs is very appealing to me. Just look at these examples! The book will be published by C&T Publishing, and it is just a visual feast for the eyes. Kathy says that she and husband John drove all over hither and yon to get the photos they wanted. This book looks fascinating! Looking forward to seeing it! 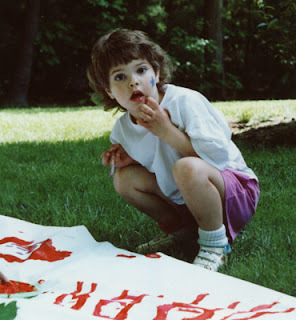 Looking at the beautiful quilt with those glorious colors on your google profile, Allison, I think you'd like this one!